The current status is Good. The current condition is Fair. The current status is Unknown. From the Report: Camera trapping at the landscape level provides a non-invasive tool to obtain these metrics and reliably measure change over time. Networks of remote cameras have proven very effective for gaining valuable information on the diversity, distribution, and abundance of the mammalian community (O’Brien et al., 2010; Ahumada et al., 2011). Additionally, photographs can be shared with the public, which provides the community with a chance to see mammals that are all around the One Tam area of focus, but are rarely spotted. Knowledge about the mountain’s mammalian residents varies, but is generally limited. 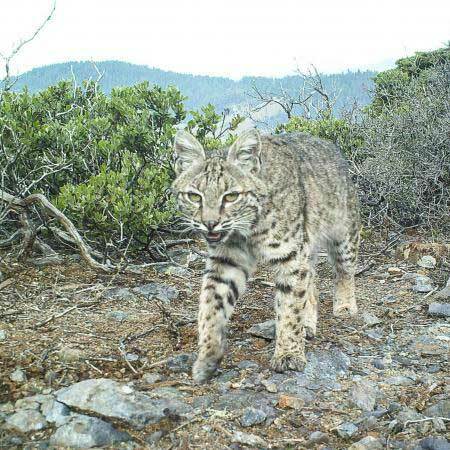 However, new information coming in from remote cameras installed in 2014 as a part of the Marin Wildlife Picture Index project should help land managers better understand the diversity and distribution of mammals across Mt. Tam’s different habitats. 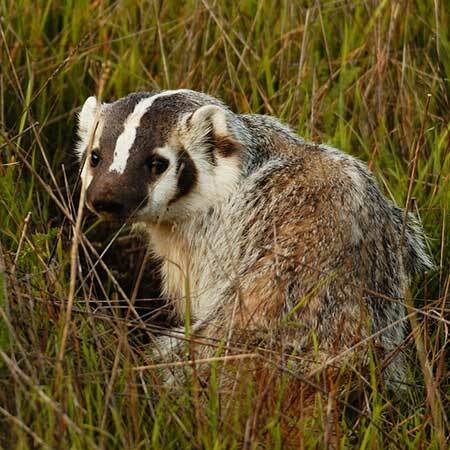 Land managers have some information about specific mammal species that are good indicators of ecosystem health, including the American badger (Taxidea taxus). This species requires large patches of grasslands and coastal scrub, and so their presence tells us something about the condition of these habitats. They are also voracious predators of small rodents, and their burrows provide important habitat for other wildlife including reptiles, amphibians, small mammals, and burrowing owls. 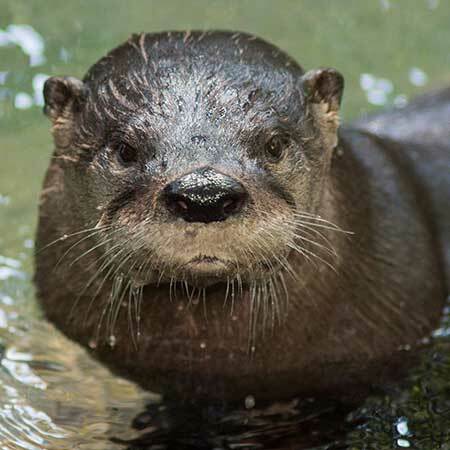 The charisma of North American river otters (Lontra canadensis) makes them excellent ambassadors for watershed conservation and wetland restoration. These apex predators play an important role in ecosystem health, and their use of both terrestrial and aquatic habitats makes them good indicators of multiple habitat types. While there are many knowledge gaps related to the health of Mt. Tam, bats are an important group that were considered for this health assessment process, but were not included due to a lack of information. One Tam agencies are planning to develop inventory and monitoring plans for bats in the near future. In addition to looking at the mammals that make their homes on Mt. Tam, species that are no longer found on the mountain are important to consider when thinking about ecosystem health. Changing land use, development, hunting, wildlife persecution, collecting, and the introduction of non-native species since the time of European settlement have resulted in the loss of many native mammals from Mt. Tam. Species lost likely include grizzly bears (Ursus arctos), American black bears (Ursus americanus), gray wolves (Canis lupus), tule elk (Cervus canadensis nannodes), pronghorn antelope (Antilocapra americana), North American beavers (Castor canadensis), California ground squirrels (Otospermophilus beecheyi), ringtail cats (Bassariscus astutus), mountain beavers (Aplodontia rufa), and the salt marsh harvest mouse (Reithrodontomys raviventris). Having already lost many mammals from the mountain, it is important that we maintain the species that are still there, and make sure that the key ecological roles and functions that they serve are not lost. *This species list represents current information compiled by One Tam partner agencies at this time, and will likely be updated in the future through further review of additional technical reports, inventories, and validation of other data sources.